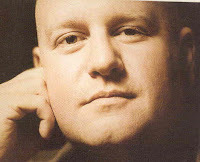 Matt Bronleewe is a recognized producer, songwriter and author. The former member of the band Jars of Clay, has earned numerous awards producing and co-writing albums that have sold a combined total of over 20 million copies. His songs have recently been recorded by Disney pop sensations Aly & AJ, American Idol finalist Kimberley Locke, and more. Bronleewe has worked with Grammy Award-winning artists such as Michael W. Smith, International pop singer Natalie Imbruglia and Heroes star Hayden Panettiere. Born in Dallas, Texas, Bronleewe was raised on a farm in Kansas, where he lived until he left for college in 1992. At Greenville College in Illinois, Bronleewe formed the band Jars of Clay with his dorm roommate and two neighbors, and the group soon found success. Though Bronleewe opted to leave Jars of Clay early on to pursue an academic career, he soon found himself in Nashville, co-writing, producing, and playing music professionally. To add to his list of accomplishments, Bronleewe has expanded his love of story telling beyond music into authorship. He is currently penning a 5 book series for Thomas Nelson Fiction. Illuminated, in stores now, begins the adventurous series about rare manuscripts and the mysteries within. Bronleewe currently resides in Brentwood, Tenn., with his wife and three children. He continues to write and produce music, and he also volunteers through his church to help disadvantaged youth in the community. Bronleewe enjoys reading, taste-testing good food and watching sports, as well as indulging his interests in art, architecture, design and science. If he fails, those he holds most dear will die. If he succeeds, he'll destroy a national treasure. The clock ticks, the suspense mounts, and the body count rises as August pits his knowledge and his love for his family against the clock, secret societies, and even Johannes Gutenberg himself. "...this rare breed of suspense thriller combines mysterious hidden clues, secret societies, buried treasure, double agents, and the Knights Templar...if you turned National Treasure into international treasure, traded DaVinci codes for Gutenberg Bibles, married it to Indiana Jones, and added the pacing of 24 you'd be in the neighborhood of Illuminated...on a scale of one to 10, this one goes to 11."